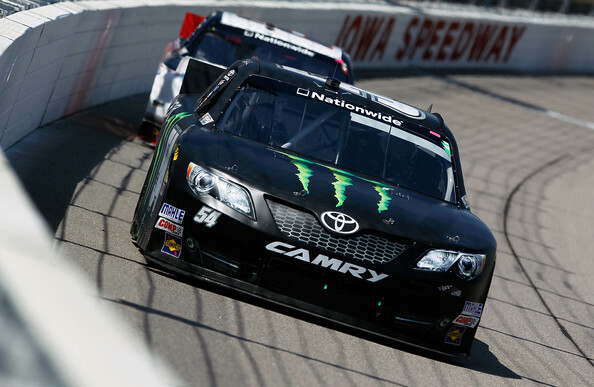 Sam Hornish won the NASCAR Nationwide Series race at Iowa Speedway on Sunday afternoon. The driver of the No. 54 Monster Energy Toyota Camry led 167 of 250 laps claiming the win in the Get to Know 250 presented by Sherwin Williams. Hornish beat out Ryan Blaney and Regam Smith for the win at the 7/8-mile track located in Newton, IA. Ryan Blaney began the race on the pole but it was Sam Hornish taking the lead away early.